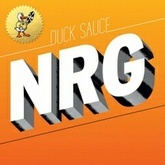 Listen to Duck Sauce's top songs like It's You, Barbra Streisand, NRG on EDM Hunters. 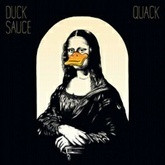 The list is updated daily to include all of Duck Sauce's latest songs. The songs on this are ordered by number of likes, plays and downloads. Like your favourite songs to make your vote count. What's your #1? 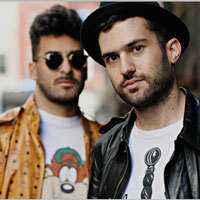 Duck Sauce is an American/Canadian DJ duo consisting of Armand Van Helden and A-Trak. The duo is signed to Casablanca Records, Fool's Gold Records, Republic Records and Ministry of Sound Australia. 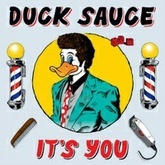 Duck Sauce's first tracks are "aNYway" and "You're Nasty". The track "aNYway" capitalizes "NY" to signify the duo's New York origins. 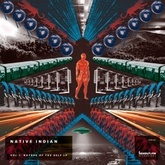 The song samples "I Can Do It" by Final Edition. 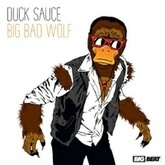 Duck Sauce's debut EP, Greatest Hits was released on July 15, 2010. In the summer of 2010, Duck Sauce released a track called "Barbra Streisand", named after the singer of the same name. The track heavily samples the 1979 song "Gotta Go Home" by Boney M., which itself is based upon "Hallo Bimmelbahn" by the German band Nighttrain. The famous hookline is written by Heinz Huth. "Barbra Streisand" was first played at Miami Winter Music Conference in 2010 and gained heavy DJ and radio support. The song peaked at #3 on the UK Singles Chart and reached #1 on the Australian ARIA Club Chart as of 12 September 2010. For the Billboard week ending December 18, 2010, the song reached the #1 position on the Dance/Club Play Songs chart. Listen to Duck Sauce's top and latest Indie Dance / Nu Disco, House songs, watch videos and discover DJs similar to Duck Sauce on EDM Hunters. Like your favourite songs to make your vote count. What's your #1?